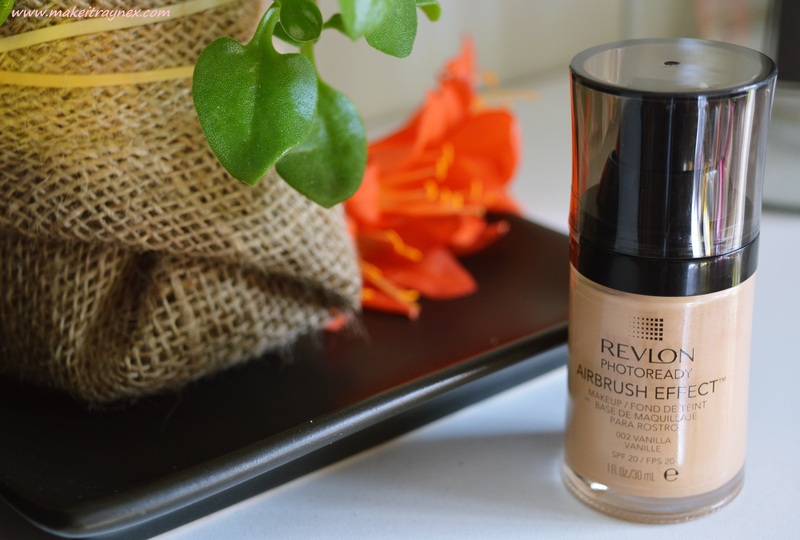 When it comes to foundations I always prefer to stick to one I love. Yes, there might be a better one out there, but why would I want to spend money on something which I may hate. Not to mention that hypothetical money would be anything from R100 to R600.. 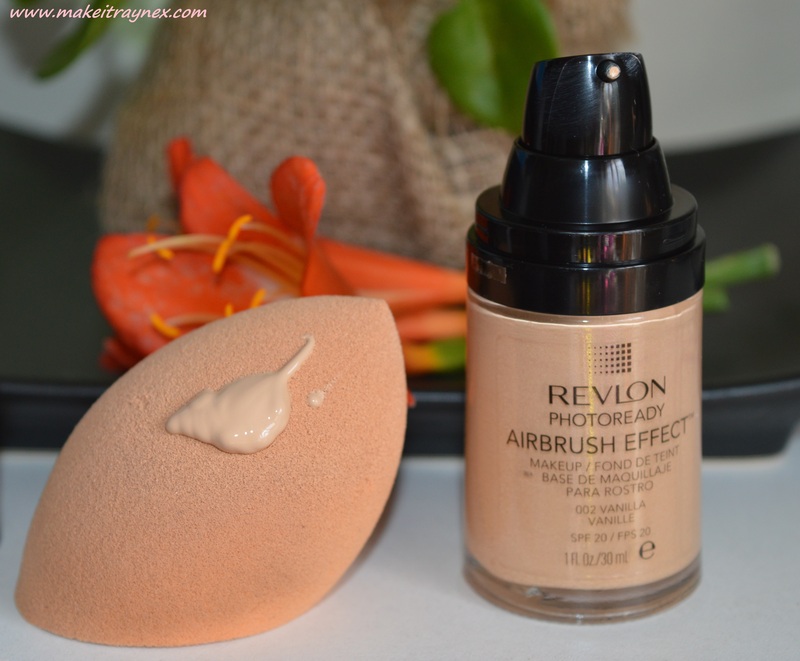 So when Beauty Bulletin sent me this Revlon Photoready Airbrush Effect foundation I was all sorts of excited because; the shade looked perfect, I had heard nice things about this from one of my friends who loves it, and I did not have to spend a cent on it. I used it, I formed my opinion on it and then I do what I always do before reviewing a product on my blog. I checkout out a few online reviews. This was one of those products that was completely hit or miss, there was no inbetween. I saw people raving that its their new go-to foundation and I saw people saying it was the absolute worst one they have ever used. Apparently Revlon repackaged this product AND changed the colours, so if you used the old version and tried the new version in the same colour, it would not be the same as the original. I, however, never used the old one so my review and opinion is based solely on this bottle. I have it in 002 Vanilla and I had originally thought it may be too dark as it looks a bit orange/oxodized in the bottle but in reality it was PERFECT. After using it I jumped onto Snapchat (MAKEITRAYNEX) and absolutely raved about it. It was so smooth and blendable. It smelled nice. It has a really good coverage – I would say a good medium coverage. Its not oily or greasy and it was long lasting. The packaging is also super sleek, made of glass and contains a lot of product. All the negative reviews I saw stated that the formula was way too oily for them, but they also noted that they already had pretty oily skin. I would recommend this to someone with normal to dry skin. My one – not negative, but just a bit odd – qualm would be that after I had it on for a while I looked in the mirror and wondered what the HECK was this glitter all over my face?? Had I accidentally gone beserk with my highlighter? But no, after looking at all the reviews I found that the formula is advertised as containing shimmer. I had NO idea from the actual Revlon packaging but this is what is says on the internet, so ja. Its almost undetectable in dark or bad lighting, but in the sun it is very obvious. You can see my before and after pictures below. Notice how sallow my skin is, and how I struggle with dark undereye circles? 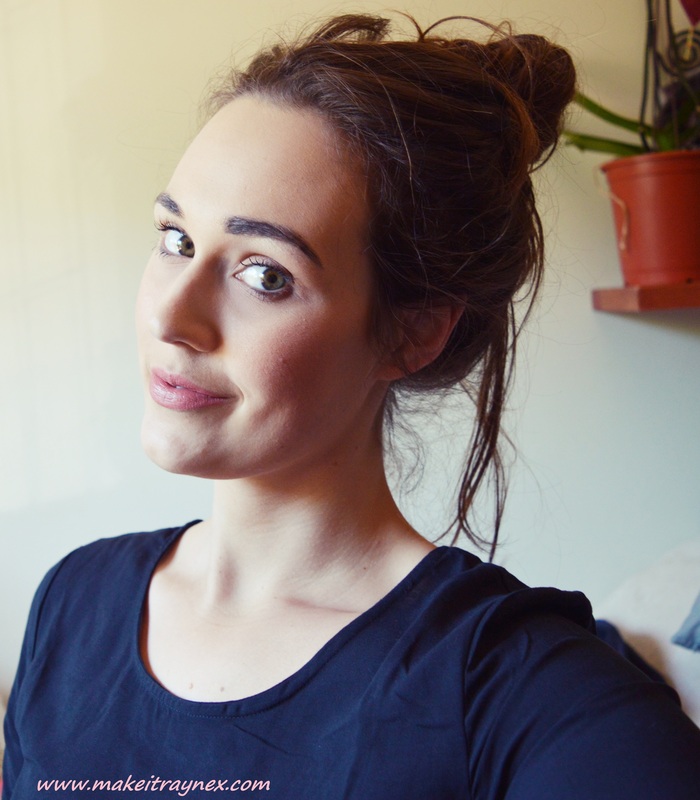 This Photoready Airbrush Effect foundation seriously adds extra health and radiance to my skin! 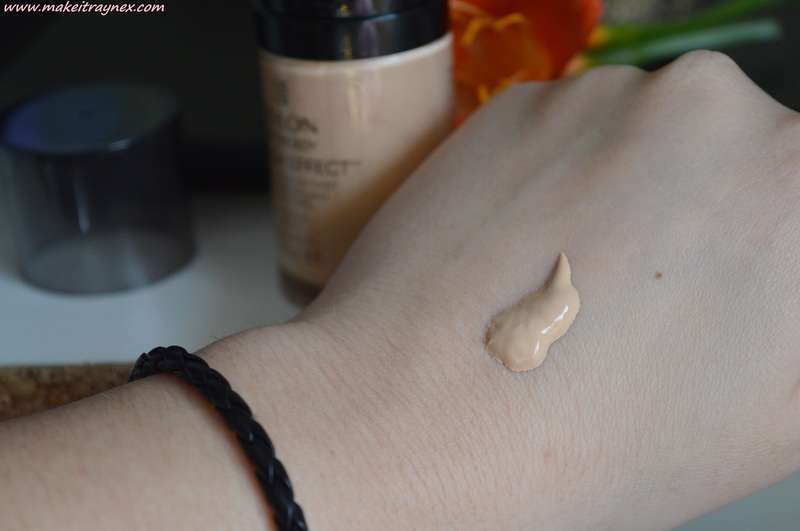 Overall I would give this foundation a 9 out of 10 – I LOVE IT! Its definitely one of my favourites right now and I would recommend it to anyone with normal to dry skin. 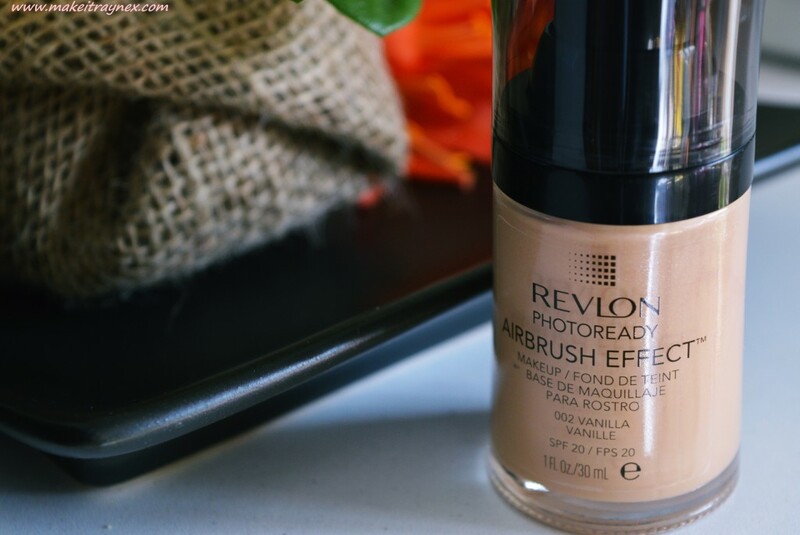 You can buy this Revlon Photoready Airbrush Effect foundation at Clicks stores, Edgars, Dis-Chem and Foschini for between R170 and R190. This Was My First Revlon Foundation That I Purchased And I Have A Serious Dislike For It – I’m Not A Fan Of The Glitterness And It Appears Very Orange On My Skin. 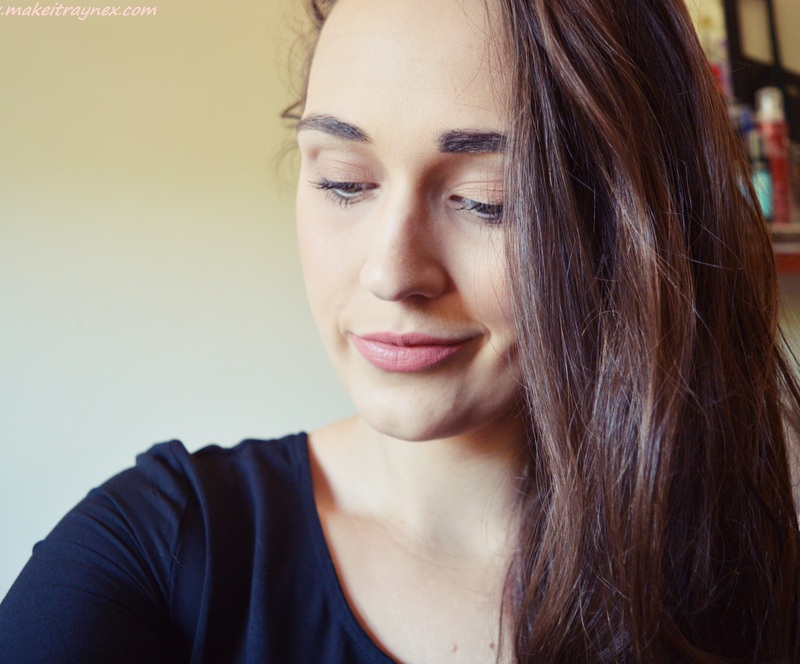 ← Previous Post: International Beauty Swap: CANADA – Part 3!